When cutting concrete one thing that must be taken into consideration is what is within the structure besides just concrete. Often times walls and floors can have conduits, plumbing , rebar, etc. concealed within which can cause issues while cutting or drilling through the concrete. We offer concrete scanning to solve this issue. 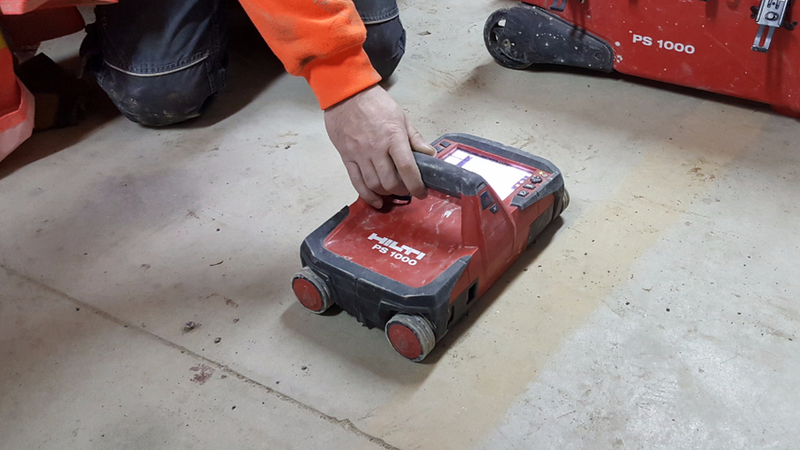 Scanning the subsurface of the concrete by means of a Ground Penetrating Radar (GPR) system to assist in pinpointing the location of obstacles before cutting can save you time and money.